PT. 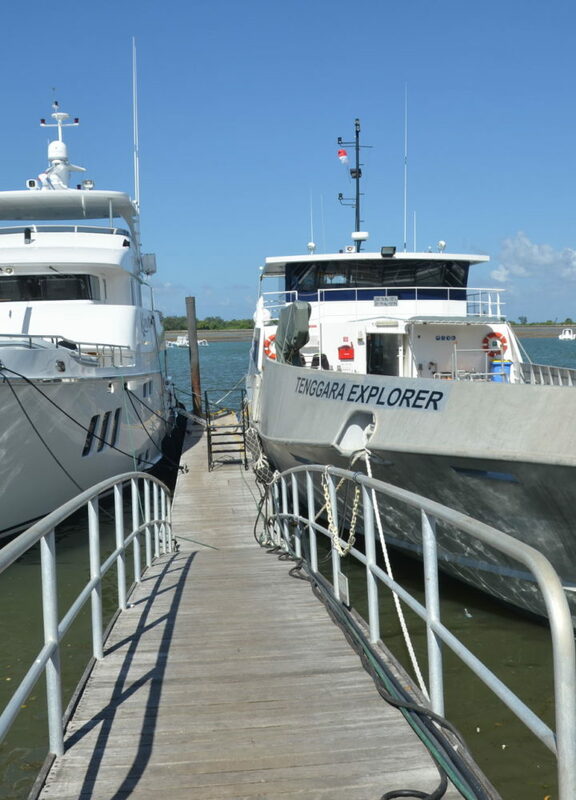 INDONUSA SEGARAMARINE was established, to operate in Marine Tourism, specializing in Surfing Expedition live aboard, and Game Fishing charters. The company developed into a Super Yacht Agency. Providing complete vessel documentation and logistic support for vessels transiting Indonesian waters. PT. INDONUSA TENGGARA MARINE (PTITM) was established to operate vessels for general merchant shipping activities. PTITM is licensed to operate Passenger Vessel, Survey Vessel, Tug Boat and most type of commercial shipping. MV. Tenggara Satu, built by SBF Shipyard and launched in West Australia. The 30 meter, 200 seat passenger vessel was the first new build vessel under HSC 2000 to operate in Indonesia. PTITM owned and operated the Vessel until 2009 for passenger transfers for PT. Newmont Nusa Tenggara in Western Sumbawa, Indonesia. MV.Tenggara Explorer also built by SBF Shipyard West Australia and designed as 32.4 meter aluminum Survey Vessel for offshore Remotely Operated Vehicle operations (ROV), and Environmental Monitoring programs. To expand Indonusa Marine services, PT.Nusa Salvage was established with license for Subsea Operation and Marine Salvage. MV. Nusa Salvage was built land launched at our Benoa facility. This 14 meters aluminum vessel is designed as general work boat and crew transfer vessel.